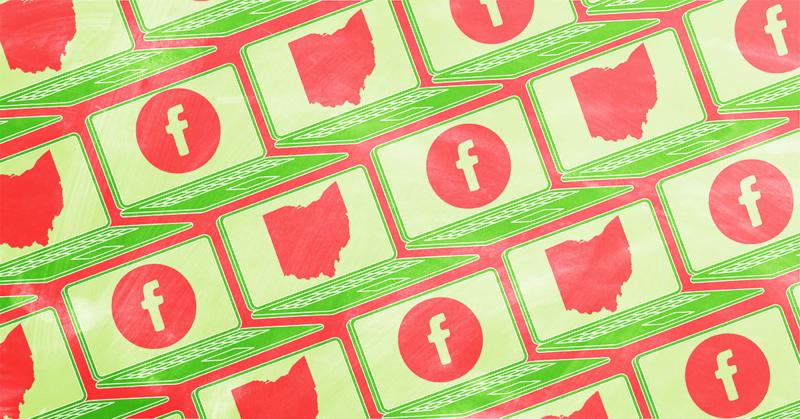 As the vote count for the special election in Ohio 12th Congressional District still rolls in, fake news sites have taken to Facebook to spread conspiracy theories about Democrats rigging the election results. 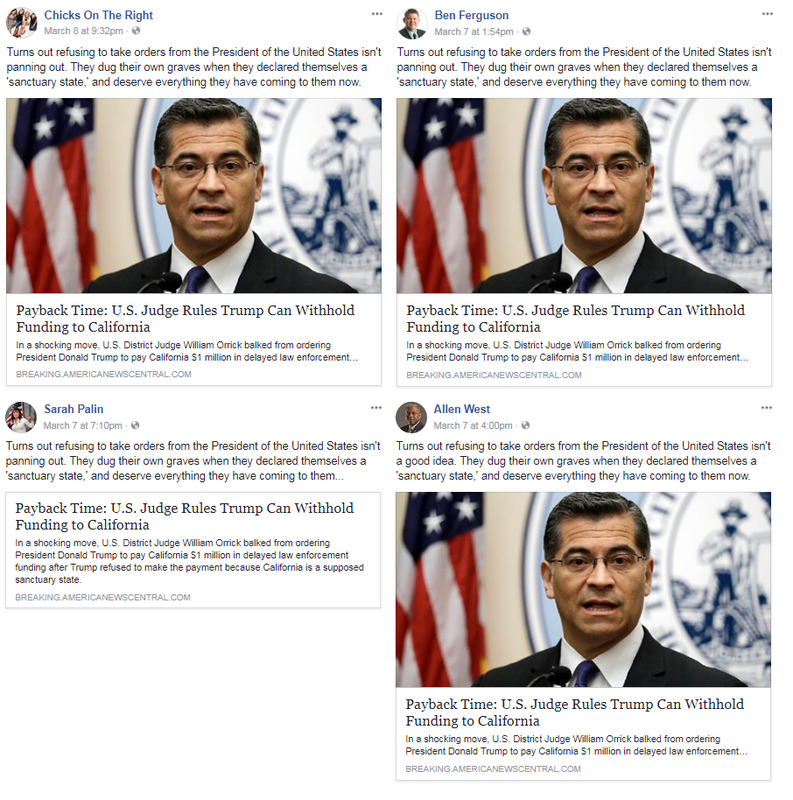 Some of these sites are using this fake narrative to advocate for voter ID laws, a voter suppression tactic that disproportionately affects minorities. This push comes as the Supreme Court recently upheld Ohio’s voter-purge law which Justice Sonia Sotomayor noted particularly impacts neighborhoods with low-income and minority populations. 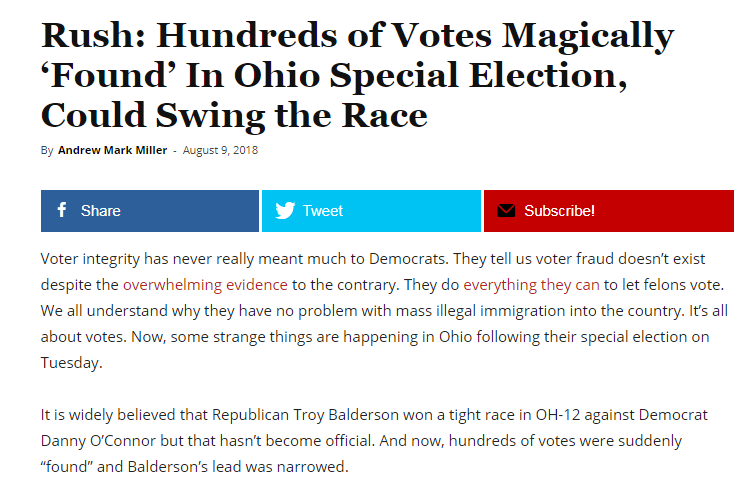 The second source for these voter fraud conspiracy theories came from an unverified claim, originating from the far-right Mercer-funded group the Government Accountability Institute, that 170 registered voters in Ohio’s 12th district are 116-years-old. When the fake news sites picked up the claim, they added allegations of voter fraud and election rigging by Democrats to the mix. Constitution.com wrote that Democrats “tend to benefit from voter fraud at a rate that far surpasses the assistance given to conservatives through the use of the same tactics.” Truthfeed claimed, “The Left hasn’t given up trying to create conditions favorable for voter fraud in Ohio.” And a Young Conservatives article which stated that “Democrats have been known to steal close elections” was shared by former Sarah Palin’s Facebook and Twitter accounts, and by conservative commentators CJ Pearson and Stacey Dash on Facebook. 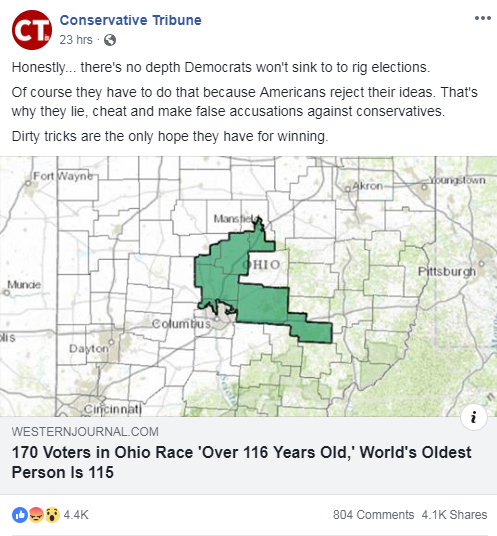 The Western Journal and Conservative Tribune posted an article that claimed this news was part of an attempt from the Democratic Party to “get their ‘blue wave’ to happen.” The Western Journal and Conservative Tribune also advocated for voter ID laws, writing, “If voter ID laws are passed and implemented … those 170 impossibly old voters would no longer be able to cast ballots — and that is something the fraudulent Democrats of the state desperately want to avoid.” The article has earned over 81,000 interactions on Facebook, Reddit, and Twitter, and was shared by Fox News host Shannon Bream and frequent Fox News guest Larry Elder. 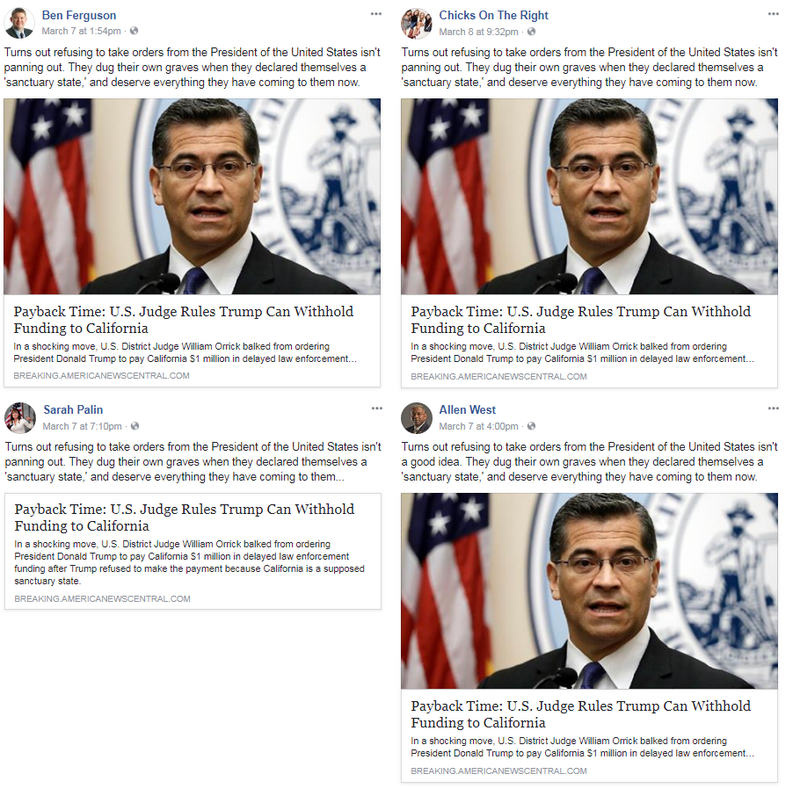 Western Journal and Conservative Tribune’s Facebook network also pushed the claim with most of the pages posting the exact same status alleging that Democrats attempted to rig the election. The Weekly Standard published a column pushing the debunked lie that the Affordable Care Act (ACA) includes “death panels” just days after a report surfaced that Facebook plans to enlist the conservative outlet as a fact-checker to fight fake news. 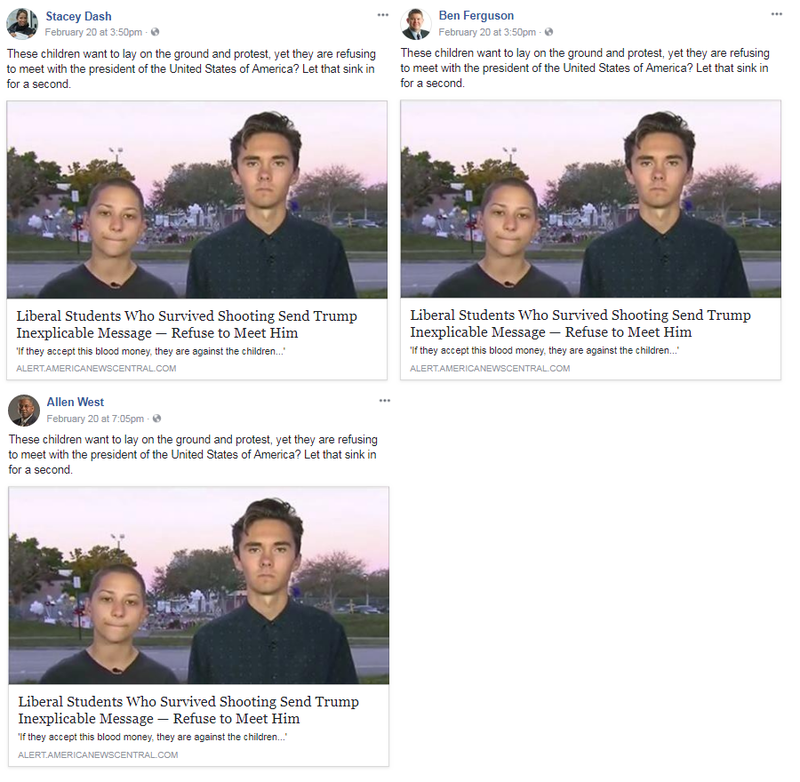 On October 7, Quartz reported that Facebook was in talks with The Weekly Standard to become a fact-checker, helping to oversee pieces shared on the social media platform that have been flagged as possible fake news. If a deal is finalized, The Weekly Standard would join fact-checkers such as Snopes and PolitiFact, which joined when Facebook announced the initiative last December. For its upcoming October 23 magazine issue, The Weekly Standard published a piece by frequent contributor Wesley J. Smith of the right-wing Discovery Institute headlined “Death Panels: Sarah Palin Was Right.” The headline refers to a lie fabricated in 2009 by serial misinformer Betsy McCaughey and amplified by former Republoican vice presidential candidate Sarah Palin that the Independent Payment Advisory Board (IPAB) system set up by the ACA would determine whether seniors and people with disabilities were worthy of care. 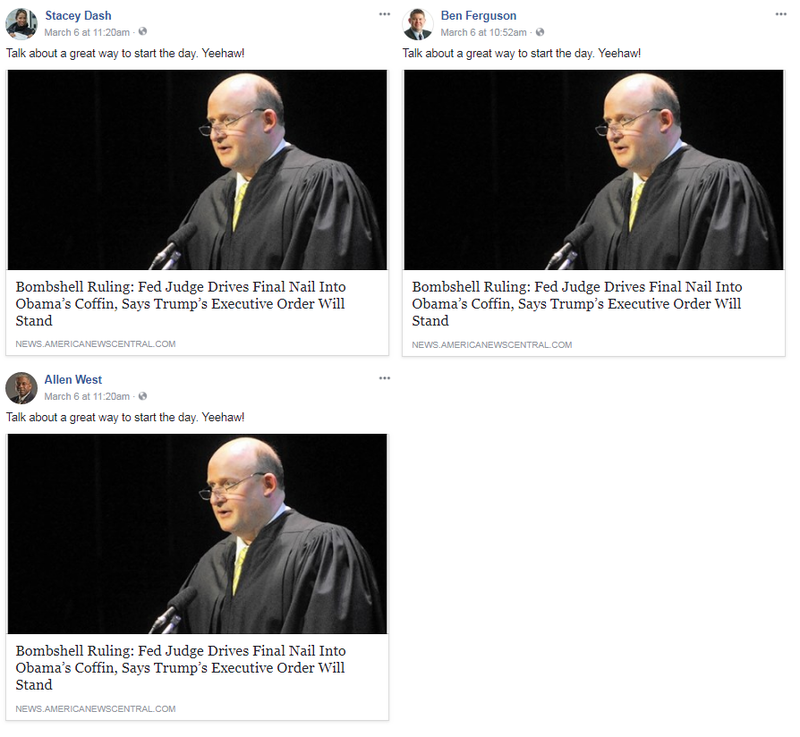 The false claim was so notorious that PolitiFact, which is a partner on Facebook’s fake news initiative, deemed it its 2009 “Lie of the Year.” The Standard column claims without proof that the IPAB “could, one day, be weaponized to implement invidious medical discrimination mandates—e.g., health-care rationing.” The column also cites a 2012 New York Times op-ed from Steve Rattner, a former adviser to former President Barack Obama, as evidence that the IPAB could demand medical rationing. But in the actual op-ed, Rattner simply discussed forms of health care rationing he would prefer and laments that the ACA “regrettably includes severe restrictions” on rationing. 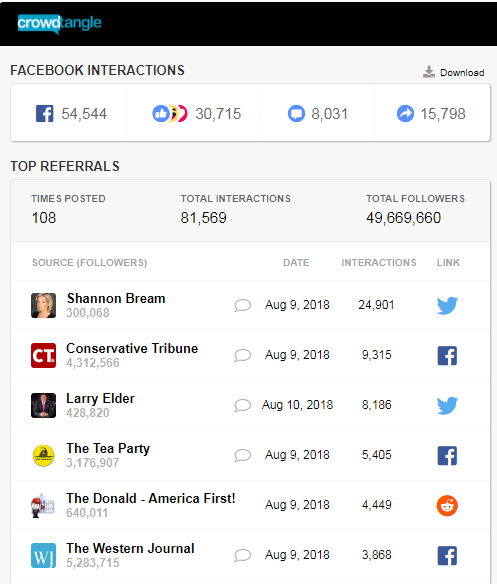 Facebook’s attempt to bring in conservatives to help fight fake news is not objectionable in and of itself; indeed, researchers and experts have called on conservatives to help fight fake news, and the social media giant could certainly use help. But it is imperative that those partners be good-faith actors that do not push misinformation themselves. That The Weekly Standard would publish such a misleading column about something as thoroughly discredited as death panels is not an encouraging sign that it will help improve the accuracy of information shared on Facebook. Media Matters research for the fourth quarter of the year found that broadcast evening news fixated on then President-elect Donald Trump’s misleading announcement that he was responsible for saving hundreds of jobs at an American manufacturer while largely ignoring the roughly 2.1 million jobs gained by the U.S. economy in 2016. New research from Media Matters revealed that overall coverage of the economy during the fourth quarter of the year spiked after Election Day, in large part driven not by consistently positive economic indicators or discussions of the future of health care reform, but by Trump’s self-serving boasts about his alleged role as a job creator. Of the 275 qualifying economic news segments aired by cable and broadcast programs from October through December, 56 featured a significant discussion of Trump’s supposed deal making with Carrier and Softbank. The media obsession with Trump’s Carrier and Softbank announcements accounted for an absurd 47 percent of evening news segments on the economy for the final 32 days of 2016. Television news obsessed over Trump’s claims of saving 700 jobs at one plant and practically ignored the roughly 2.1 million jobs that had been created in 2016 as part the longest stretch of job growth on record. Media Matters identified 119 segments on the economy -- some discussing more than one issue -- from November 30 through December 31; of those, 56 discussed deals supposedly brokered by Trump to save or create jobs via Carrier and Softbank. Broadcast and cable evening news coverage of these deals eclipsed all other economic reporting during this time frame: 41 segments discussed tax policy, 30 segments discussed all other news surrounding economic growth or job creation, 26 segments focused on health care policy, 18 segments explored minimum wage policies, and 16 segments discussed economic inequality. Media all but ignored the big picture by staying so focused on Trump’s pronouncements, falling prey to what ThinkProgress editor-in-chief Judd Legum described as Trump’s “formula for manipulating the public.” News outlets have repeatedly learned the hard way not to trust Trump’s proclamations and “nonsense” supply-side economic proposals. 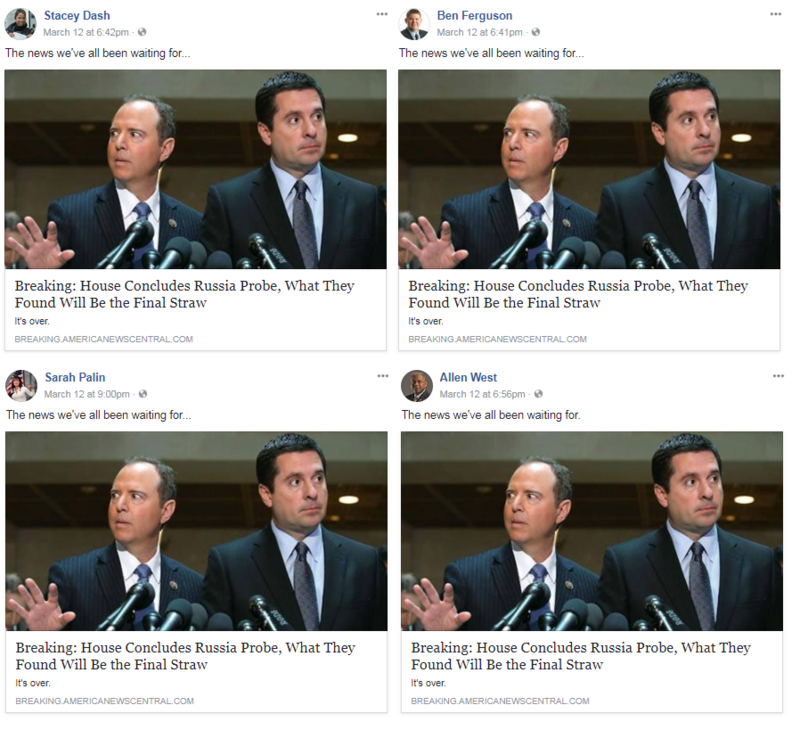 Yet television news still gives Trump an exhaustive amount of attention -- the same type of attention that research found played a role in Trump’s political rise. Now, it could influence public perception of his presidency. One America News Network (OANN) drew attention after President-elect Donald Trump took a question from its correspondent at his January 11 press conference. OANN, which was founded in 2013 as a right-wing news network akin to Fox News, shilled for Trump throughout his campaign and recently hired Trump’s former campaign manager Corey Lewandowski as a commentator. The network has a history of race-baiting and presenting anti-Muslim, anti-immigrant, and anti-abortion reporting. A false right-wing media report targeting The Washington Post’s Doris Truong has resulted in what she described as her “own personal Pizzagate” in which she was erroneously identified as being at Rex Tillerson’s confirmation hearing and surreptitiously taking photos of pieces of paper he left behind. Following Tillerson’s January 11 confirmation hearing for his nomination to serve as the next secretary of state, a photo of an unidentified woman seemingly taking photos of notes left behind at Tillerson’s empty seat began circulating on Twitter. Notoriously dishonest, and consistently wrong, right-wing blogger Jim Hoft then posted the photo and a video of the incident identifying the woman as Truong. Hoft has since updated his post and admitted that the woman pictured was not Truong, but the URL still reads “sick-wapo-reporter-caught-sneaking-photos,” a reference to Hoft’s original misleading headline. 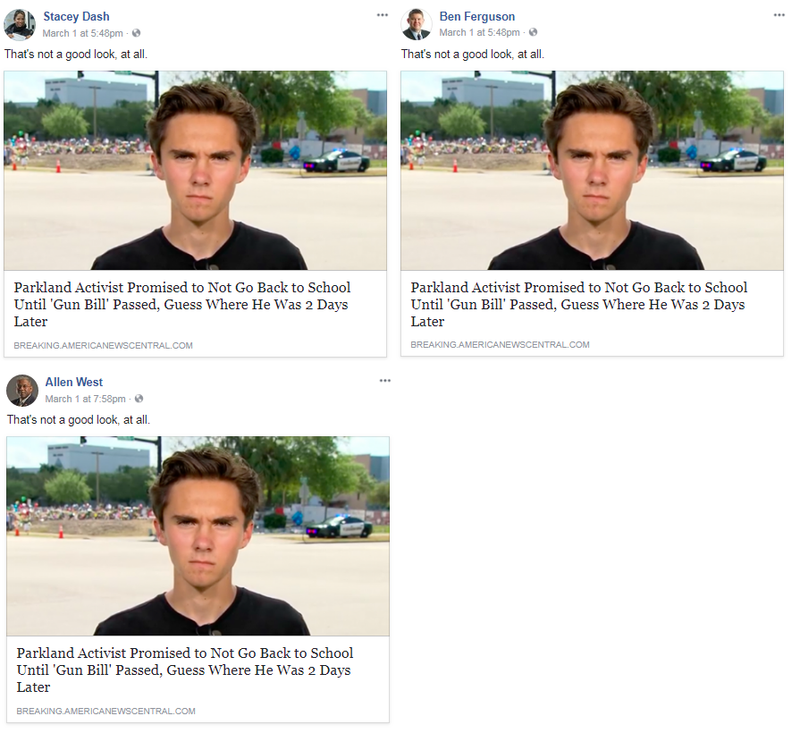 From there, the false claim was pushed by other right-wing media personalities like former Republican vice-presidential nominee Sarah Palin and linked to by The Drudge Report, driving even more traffic to the story and leading to widespread harassment of Truong at the hands of internet trolls. A lot of the comments also focused on my Chinese heritage, implying — or outright stating — that I must be spying for China. Some called for an FBI investigation of what they deemed illegal behavior. Even more bizarrely, one Twitter user insisted that “facial software on the video” led to the “almost positive” conclusion that the woman was me. But even if people believed that the person at the hearing wasn’t me, they wanted to know who she was. And that’s what’s particularly alarming about this time in our society: Why are people so quick to look for someone to condemn? And during the confusion about the woman’s identity, why is it presumed that she is a journalist? Or that taking pictures of notes in an open hearing is illegal? Or, for that matter, that she was even taking pictures of Tillerson’s notes? Despite his admission that he has no idea who the woman is, Hoft is still identifying her as a “reporter” and pushing the unsubstantiated claim that she was “sneaking photos” without any supporting evidence. 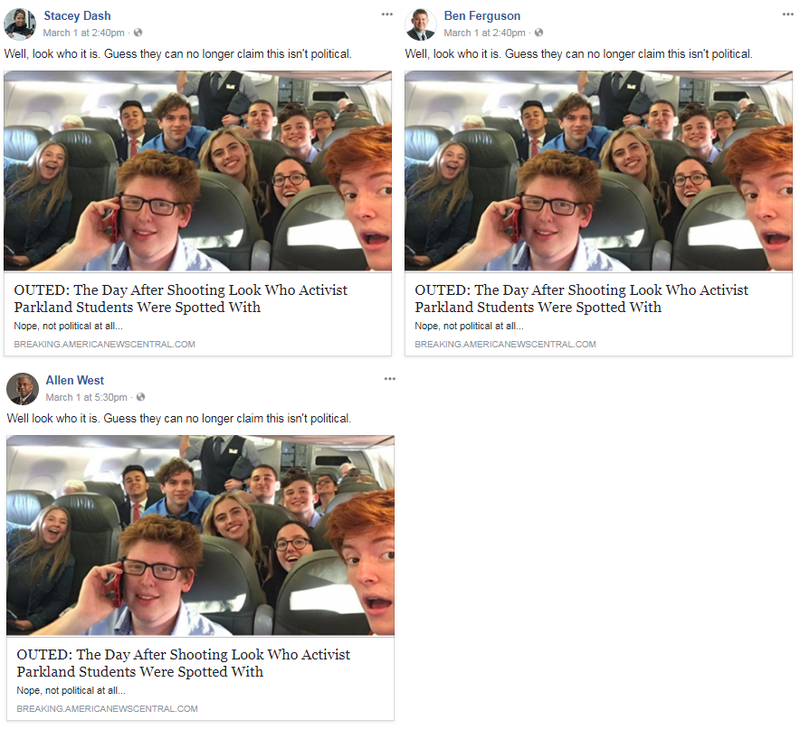 Truong’s encounter with the far-right online fringe shares startling similarities with so-called “Pizzagate,” a fake news conspiracy theory perpetuated by Trump ally and right-wing radio host Alex Jones that eventually led one alt-right adherent to shoot inside a pizzeria in Washington, D.C. and engage in an armed standoff with police. In fact, Jim Hoft credited one of the leaders of the “pizzagate” fake news conspiracy in his original attack on Truong; right-wing blogger and sexual assault apologist Mike Cernovich, who recently directed an online harassment campaign against political satirist and video editor Vic Berger. 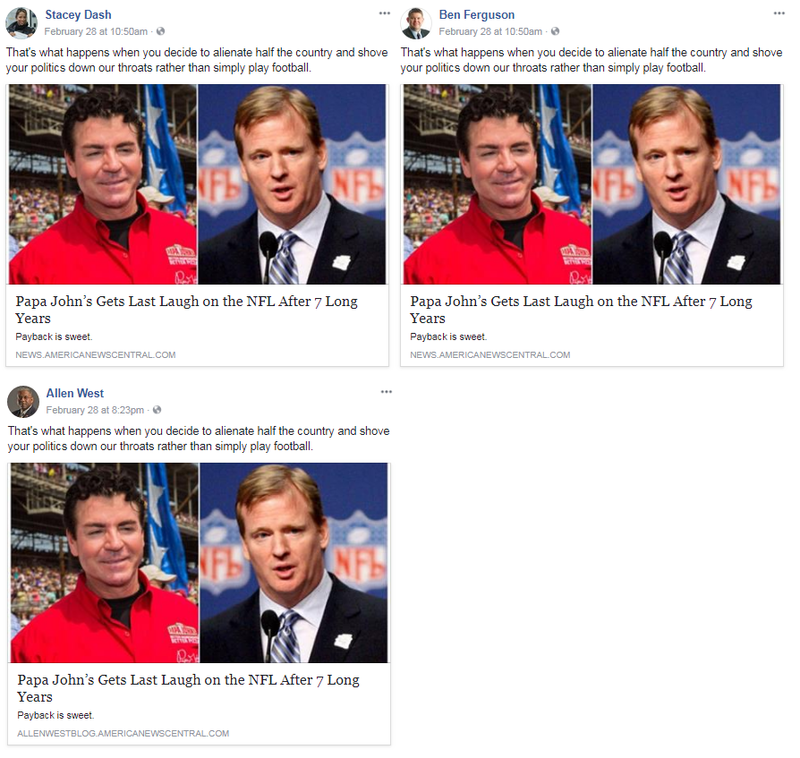 As was the case with “pizzagate,” wherein an armed conspiracy theorist held up a pizza parlor while he “investigated” the veracity of absurd claims he read online, many of Truong’s online harassers are demanding that she get to the bottom of this story, and identify the woman herself, before they’ll accept that it wasn’t her. Final presidential debate moderator Chris Wallace faces the challenge of asking Republican presidential nominee Donald Trump about the numerous allegations that he sexually assaulted several women, but Wallace’s ability to confront Trump’s treatment of women is no doubt tainted by his own history of sexist and sexually charged rhetoric about women. Making fun of Clarkson’s weight, however, was not the first time Wallace ridiculed a woman’s appearance. In 2013, Wallace approved of a New York Post cover photograph of a supposedly angry Hillary Clinton labeled “No Wonder Bill’s Afraid,” which was heavily criticized as “blatantly sexist” and “offensive sexist garbage.” Wallace called the cover “funny” and asserted that “nice can be overrated sometimes.” With a history of comments like this, how will Wallace approach Trump’s dismissal of People reporter Natasha Stoynoff as too ugly for him to assault? Wallace’s history of making sexist comments taint his ability to confront Trump over the vulgar video of the candidate boasting about sexually assaulting women and the increasing number of women accusing him of inappropriate sexual conduct. Although Trump denied that he had sexually assaulted women, the mounting accusations allege that his words were in line with the sexually predatory behavior he bragged about in the 2005 tapes. Wallace’s role as debate moderator poses other challenges as well. Wallace changed his stance on fact-checking in debates (he says it’s not his role, even though he corrected Trump during a primary debate), and he has been wildly inconsistent in how he talks about immigration. Additionally, a Fox News host is hardly the most appropriate moderator for this debate given that Trump has retreated to the station as a safe space -- and avoided other press -- while his campaign implodes under the allegations of sexual harassment and assault. Ahead of Super Tuesday and the rest of the presidential primaries, here is a guide to which conservatives are supporting which GOP candidates -- or, in some cases, which conservatives are advocating against a specific candidate. Right-wing media figures are lashing out over Sarah Palin's endorsement of Republican presidential candidate Donald Trump. 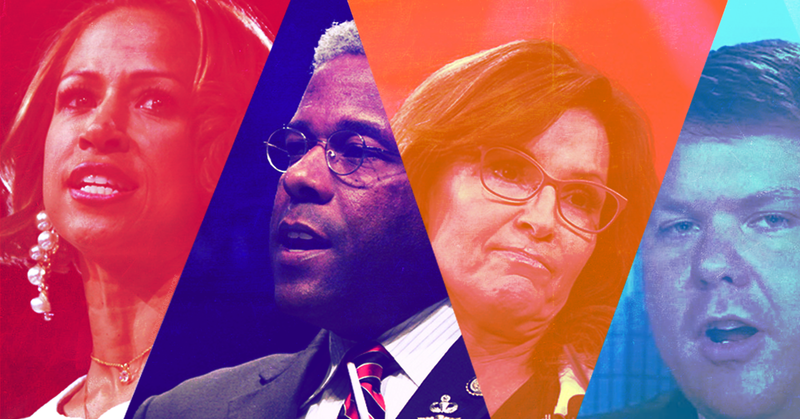 They say the endorsement amounts to "nothing but opportunism and ego," and that it abandons Palin's conservative Tea Party ideology because Trump is "neither a committed conservative nor an anti-establishment rogue." 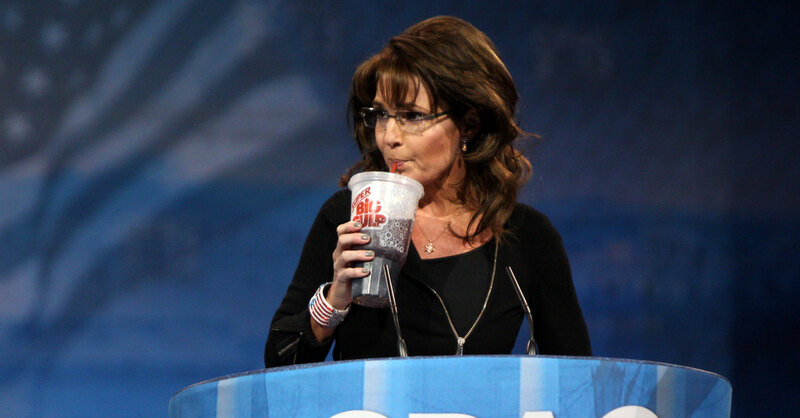 CNN's Jeffrey Lord: Sarah Palin "Would Be A Great Secretary Of Energy"